We still have space in the group for one more Honours student, with a variety of projects available to work on PacBio SMRT data for bacteria, yeast or cane toad de novo genome assembly. Please get in touch if you are interested. (Better still, fill in the lab application form, making it clear it’s for Honours, not PhD!) The deadline is Friday, 3rd of June. See the BABS website for more details. Congratulations to Joe Jenkins, who successfully defended his PhD on 12th May and was awarded his doctorate following his viva, with Professor Gary Bending as external examiner. It’s been a busy week for Joe, with the main paper from his PhD out this week too! Wide scale application of biochar to soil has been suggested as a mechanism to offset increases in CO2 emissions through the long-term sequestration of a carbon rich and inert substance to the soil, but the implications of this for soil diversity and function remain to be determined. Biochar is capable of inducing changes in soil bacterial communities, but the exact impacts of its application are poorly understood. Using three European sites (UK SRC, short rotation coppice, French grassland (FR) and Italian SRF, short rotation forestry (IT)) treated with identical biochar applications; we undertook 16S and ITS amplicon DNA sequencing. In addition, we carried out assessments of community change over time and N and P mobilisation in the UK. Significant changes in bacterial and community structure occurred due to treatment, although the nature of the changes varied by site. STAMP differential abundance analysis showed enrichment of Gemmatimonadete and Acidobacteria in UK biochar plots one year after application, whilst control plots exhibited enriched Gemmataceae, Isosphaeraceae and Koribacteraceae. Increased mobility of ammonium and phosphates were also detected after one year, coupled with a shift from acid to alkaline phophomonoesterase activity, which may suggest an ecological and functional shift towards a more copiotrophic ecology. Italy also exhibited enrichments, in both the Proteobacteria (driven by an increase in the order Rhizobiales) and the Gemmatimonadetes. No significant change in the abundance of individual taxa were noted in FR, although a small significant change in unweighted UNIFRAC occurred, indicating variation in the identities of taxa present due to treatment. Fungal β diversity was affected by treatment in IT and FR, but was unaffected in UK samples. The effects of time and site were greater than that of biochar application in UK samples. Overall, this report gives a tantalising view of the soil microbiome at several sites across Europe, and suggests that although application of biochar has significant effects on microbial communities, these may be small compared with the highly variable soil microbiome that is found in different soils and changes with time. 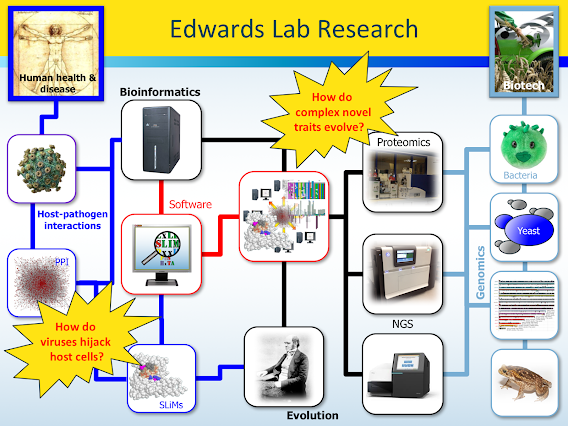 This project intends to research how complex metabolic pathways originate and evolve. This project will use cutting edge genome sequencing and molecular techniques to elucidate the heritable genetic basis of Baker’s yeast, which has been the selectively evolved to use xylose as a sole carbon source: something vital for second generation biofuel production that wild yeast cannot do. This project will combine detailed molecular characterisation of highly adapted yeast strains with a novel “molecular palaeontology” approach to trace the evolutionary process and identify functionally significant loci under selection. Detailed characterisation of this trait will accelerate the development of future yeast strains and test fundamental evolutionary theories. This will continue the work we have been doing on PacBio sequencing and yeast genomics in collaboration with our industrial partners, Microbiogen Pty Ltd.